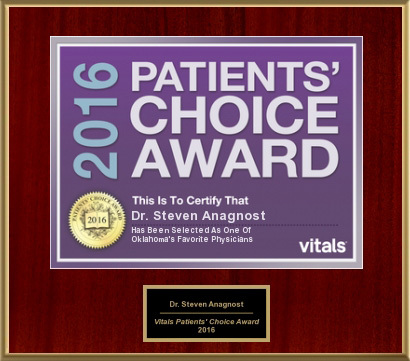 Dr. Anagnost recognized for the difference he has made in his patients lives. Dr. Steven Anagnost has dedicated his career to bringing the benefits of Minimally Invasive Spinal Surgery and Less Exposure Surgery (LES®) to Oklahoma, pioneering new surgical techniques of MIS spine surgery, and teaching these techniques to surgeons throughout the world. Dr. Anagnost’s patients experience smaller incisions and quicker back surgery recovery time at a lower cost compared to conventional spinal surgeons. Devoted to bringing the best possible care and advancements in MIS spinal surgery at a lower cost to his patients, Dr. Anagnost does not believe that money should direct patient care.